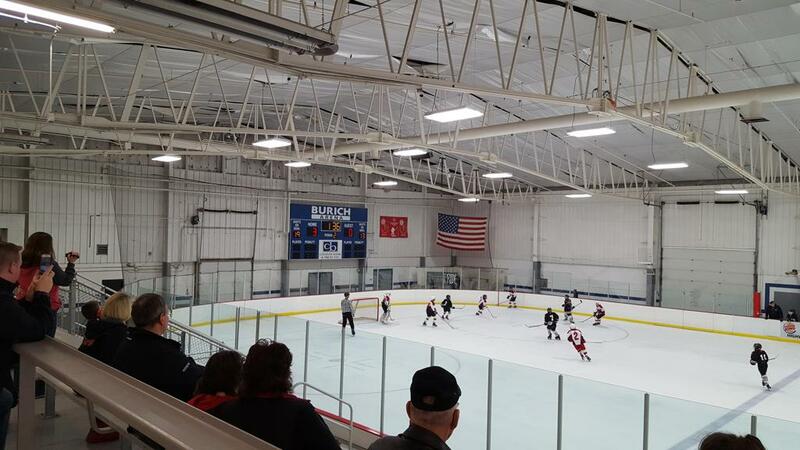 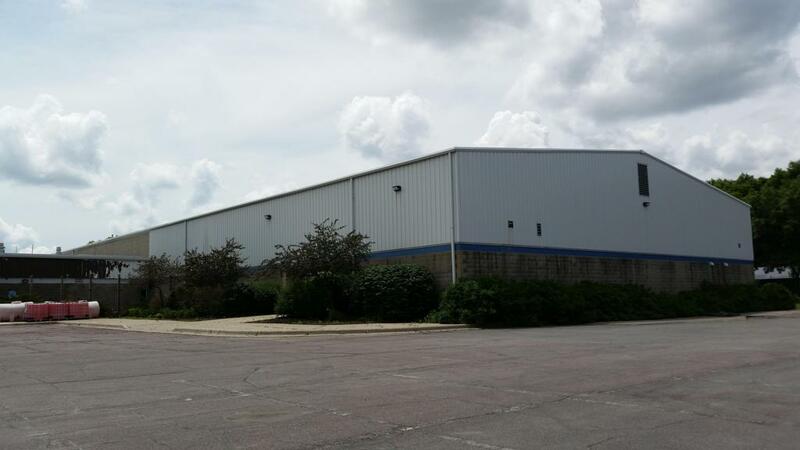 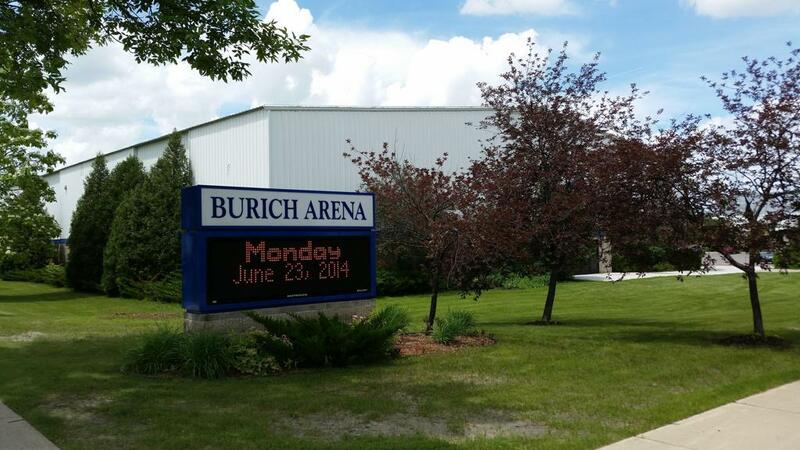 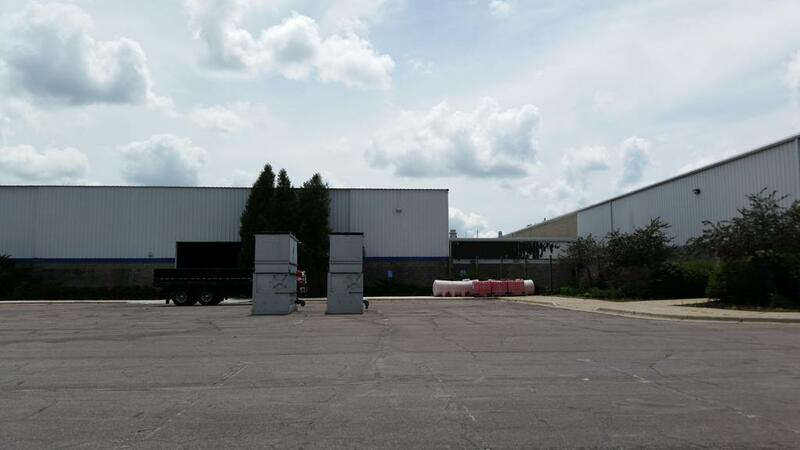 Hutchinson Civic - Burich Arena is located at 950 Harrington St. SW in Hutchinson, MN. 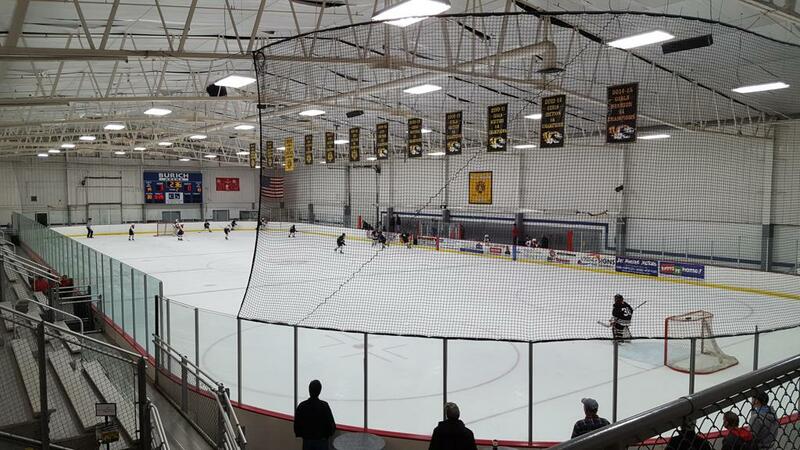 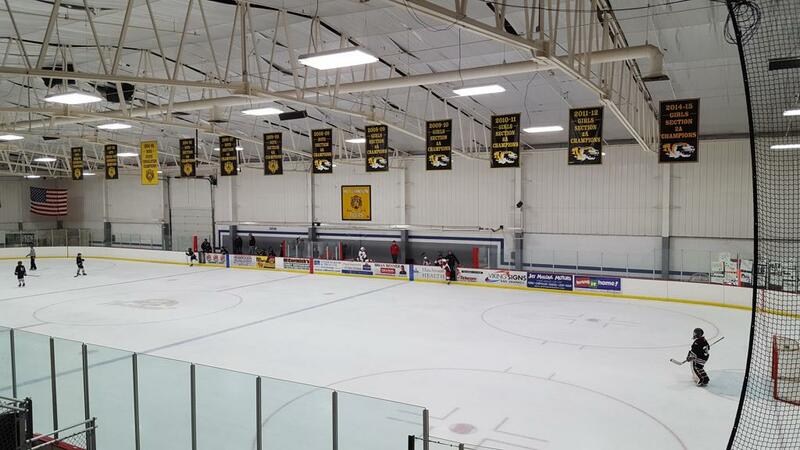 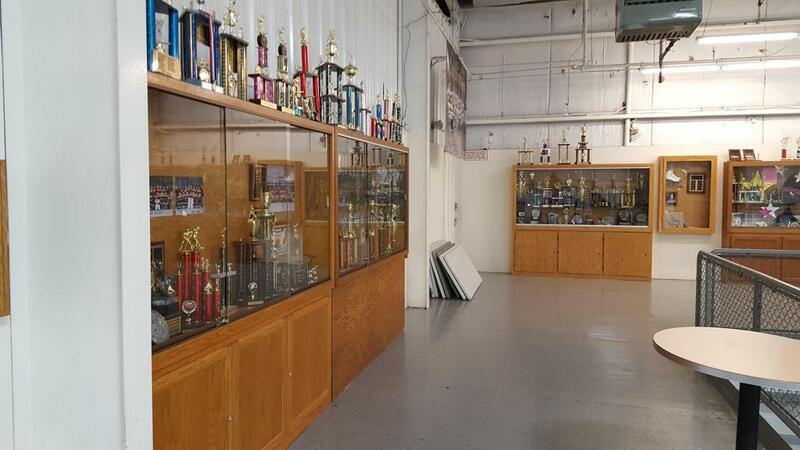 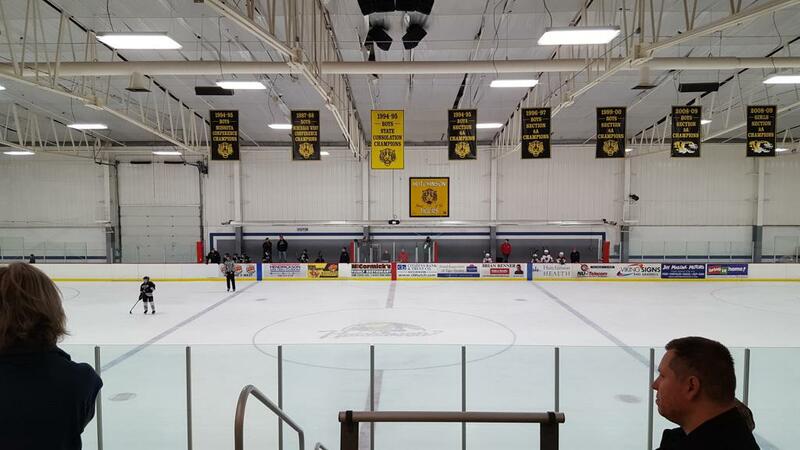 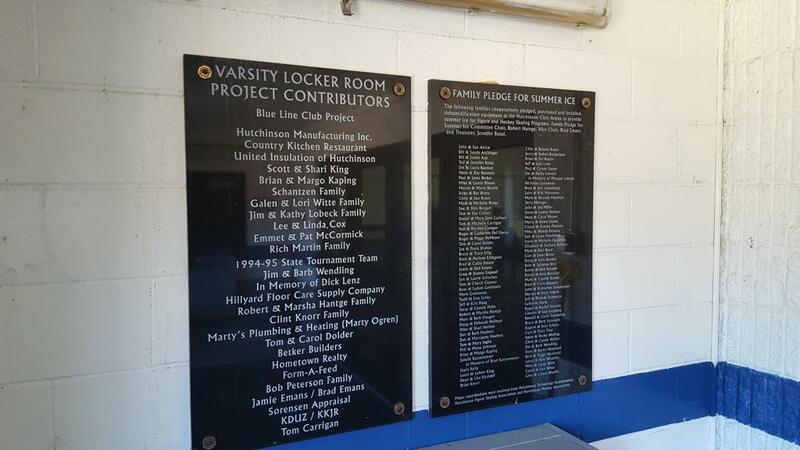 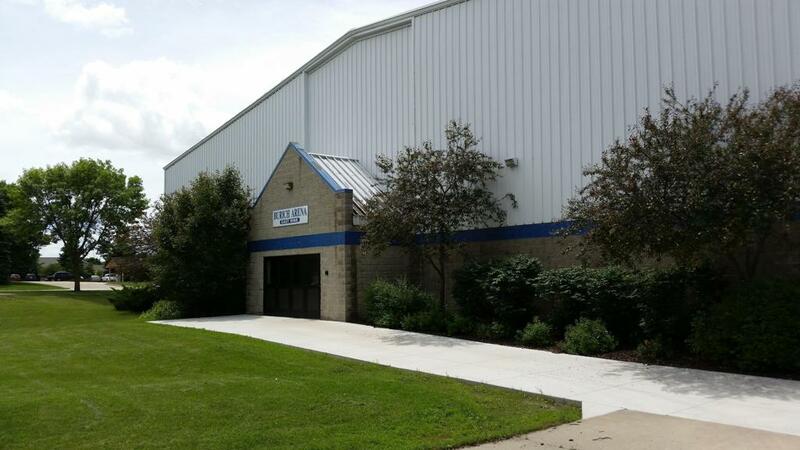 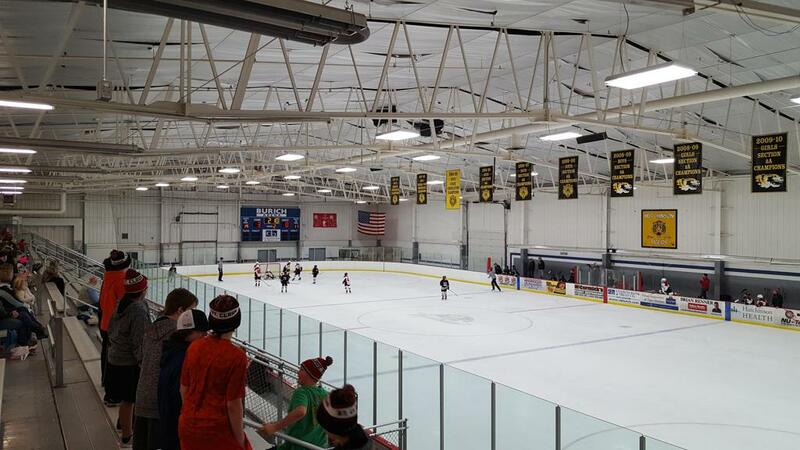 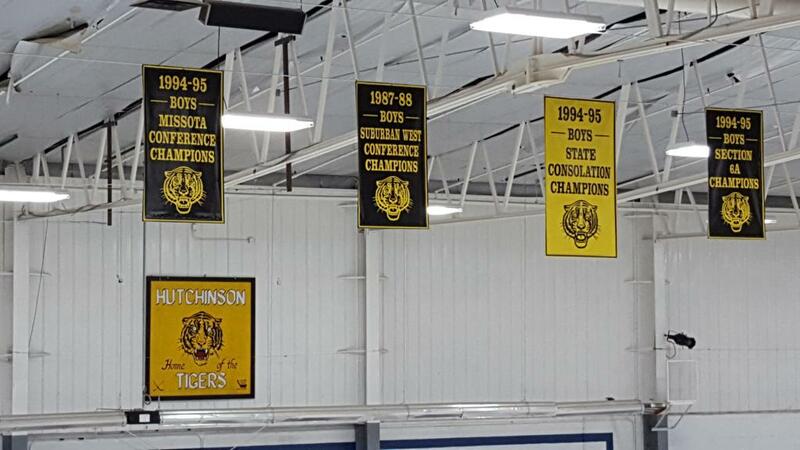 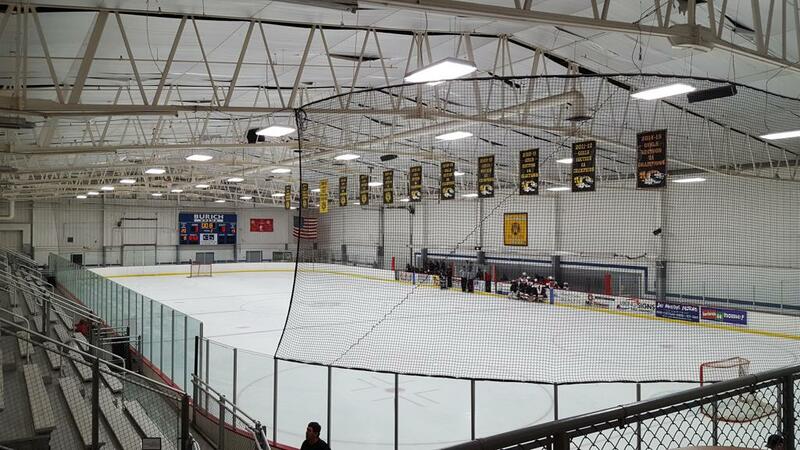 The Hutchinson Burich Arena is the home of the Hutchinson Hockey Association, Hutchinson Figure Skating Association, Hutchinson Parks, Recreation and Community Education Skating School and Hutchinson High School Tigers Girl’s and Boy’s Hockey teams. 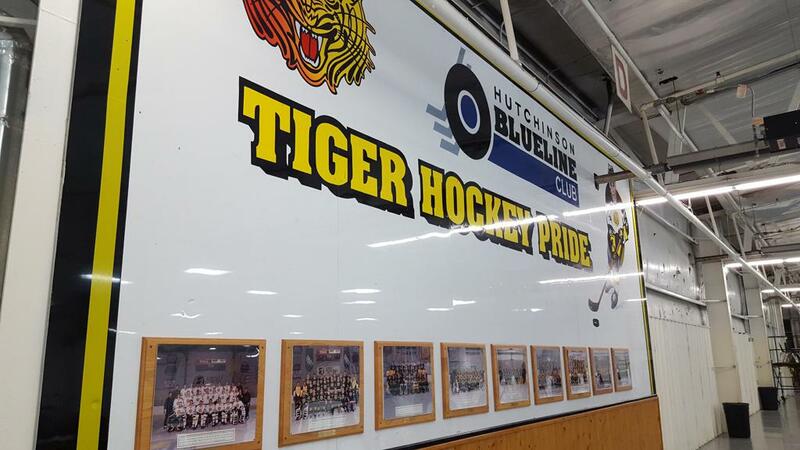 Opened originally with one sheet of ice in 1977, and later dedicated on October 30, 1977 after Irvin J. Burich the original 'West Burich' boasts an open upper level concourse with seating for over 800 Tiger hockey fans on a chilly winter night on aluminum bleachers, and has a standard sheet of ice at 200x85'. 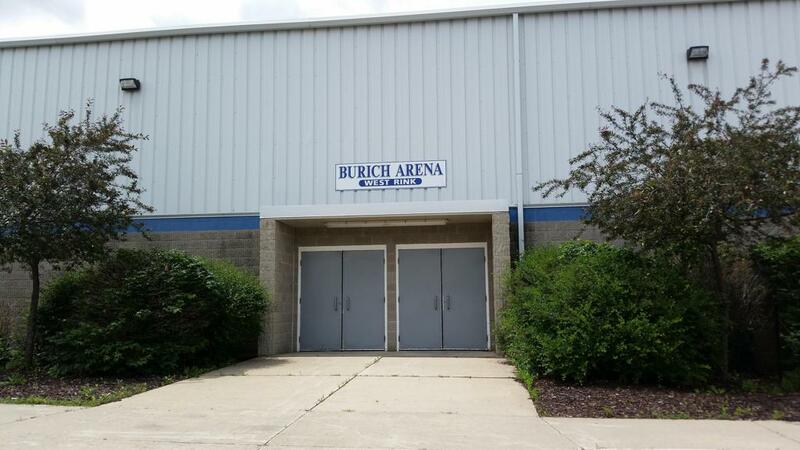 The arenas namesake, Irvin Burich, served as third President of Citizen Bank, which has been a pillar in the city of Hutchinson since 1886. 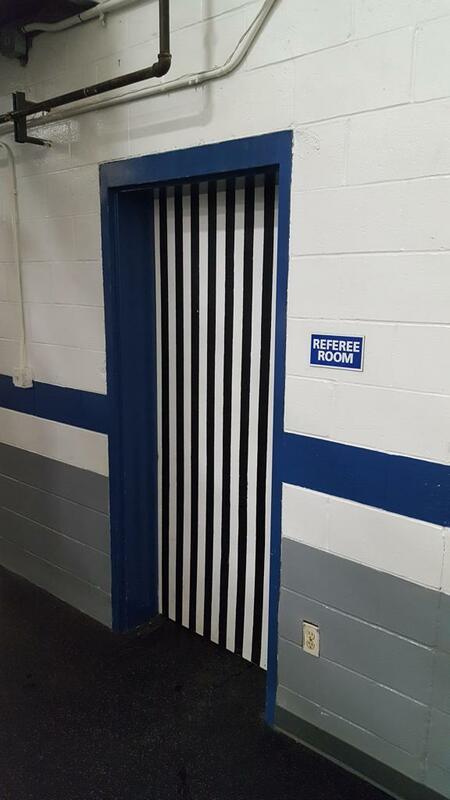 For many years, the I.J. 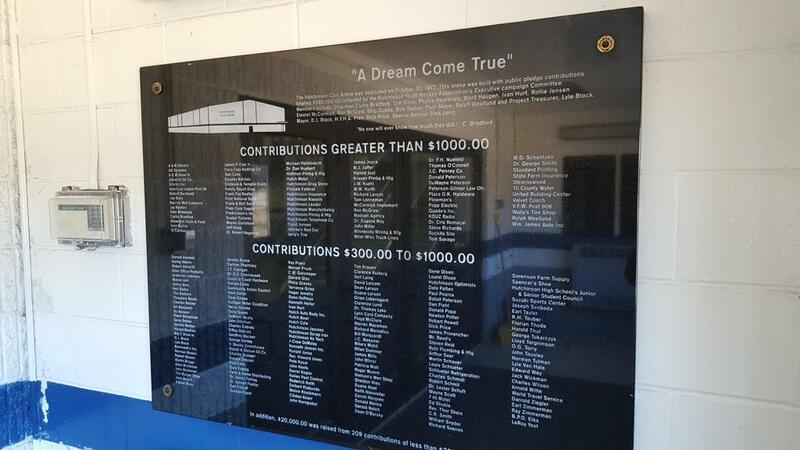 Burich Foundation, in cooperation with Citizens Bank and Trust, have given over $50,000 to worthy causes around the Hutchinson area. 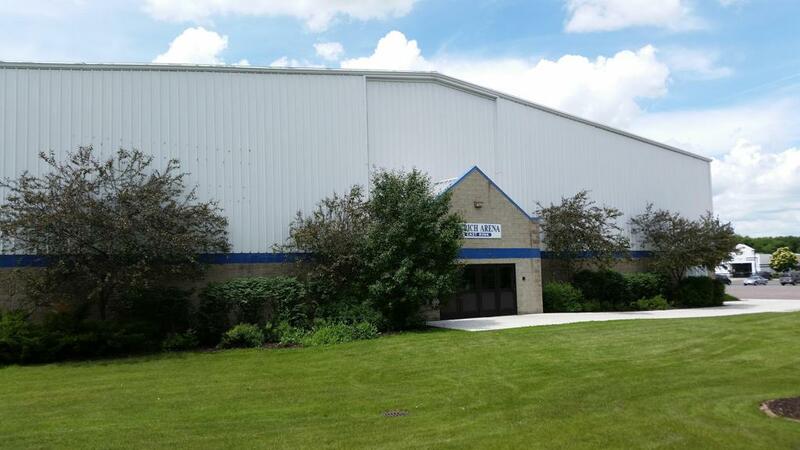 The foundations support of giving has been an important part of the family’s community involvement and is a value that extends to Bank employees, community service and volunteer leadership are even required of their senior staff of bank. 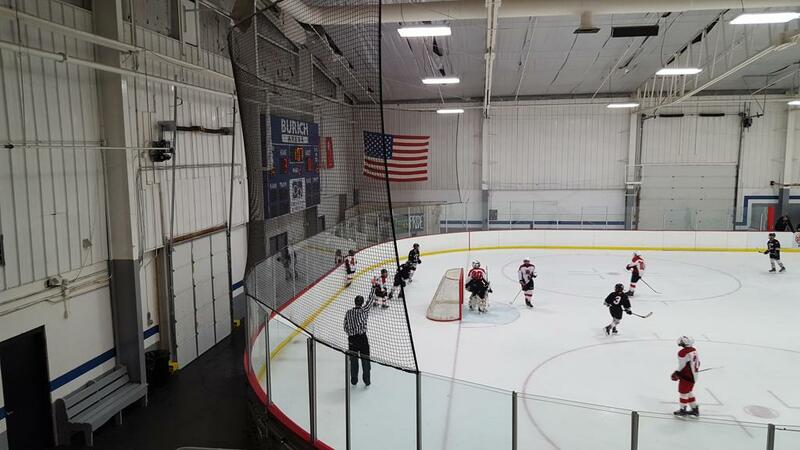 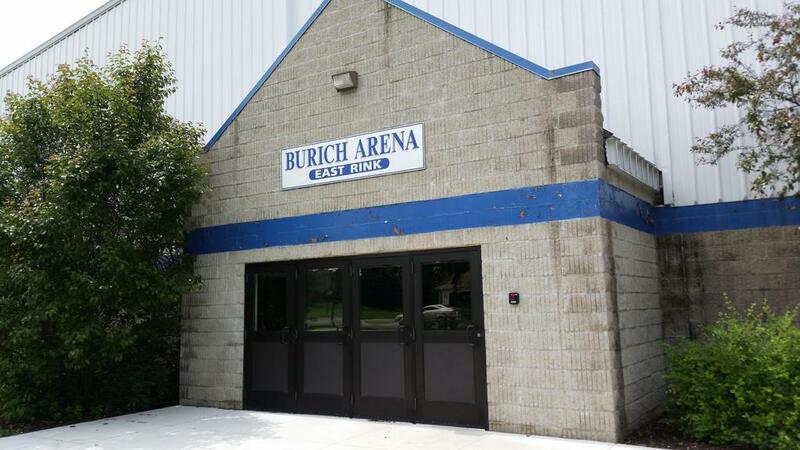 In 1999, to meet the growing demands of Tigers Hockey program, a second sheet of ice was added to Burich Arena, namely called Burich West. 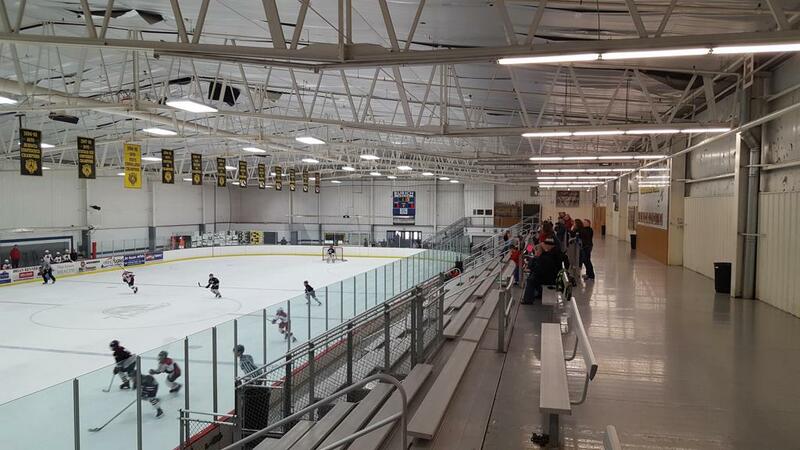 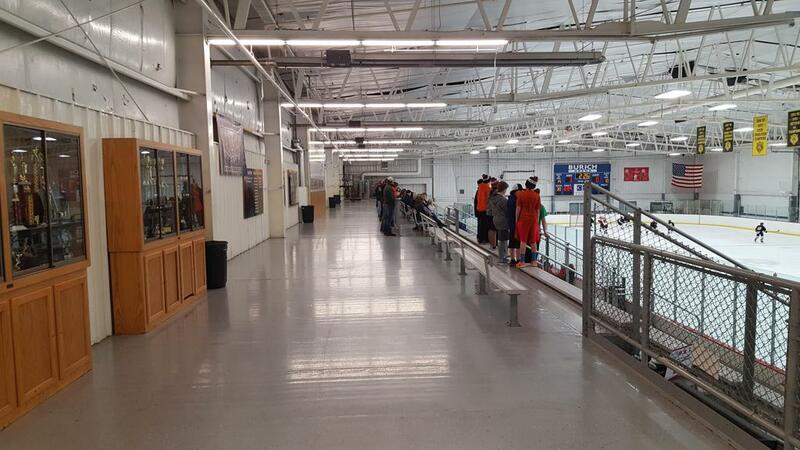 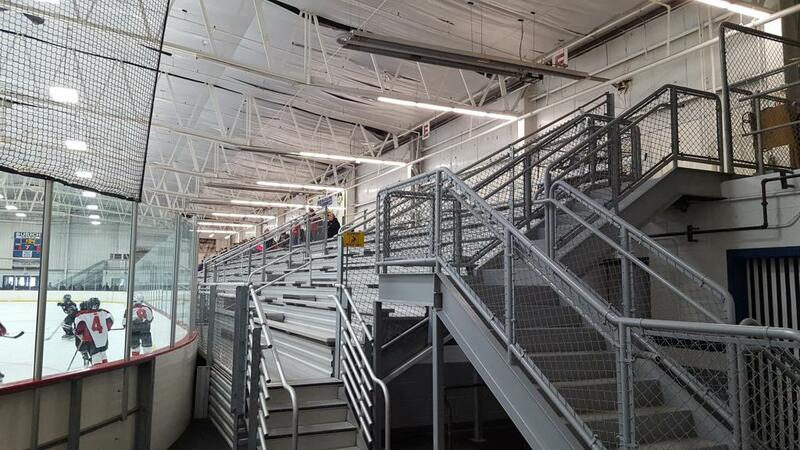 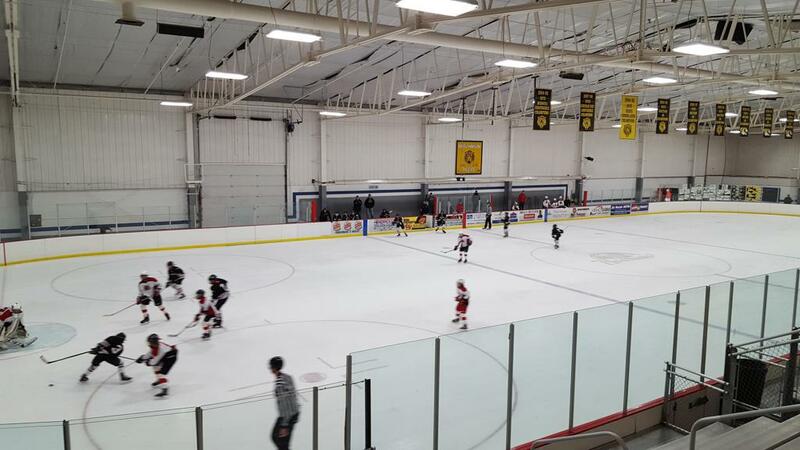 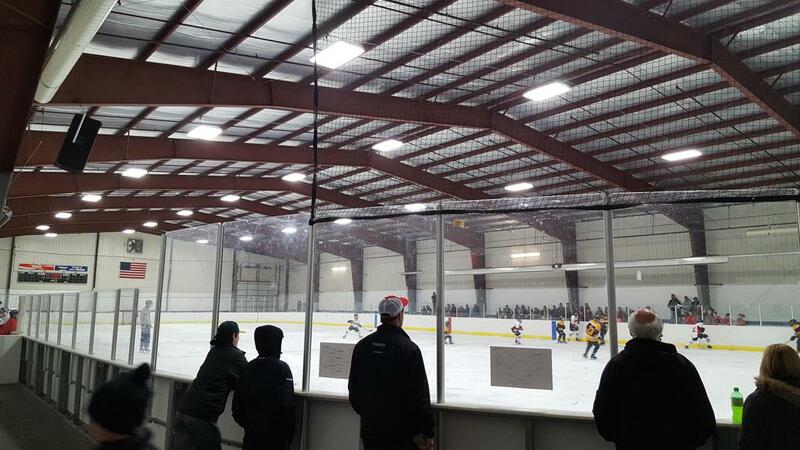 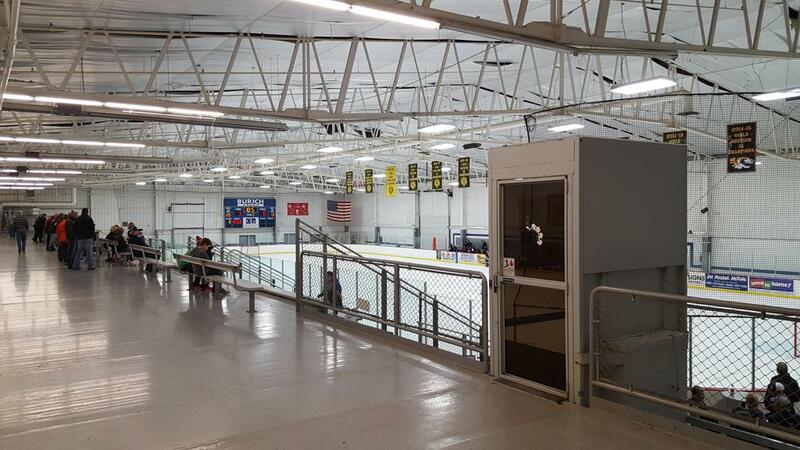 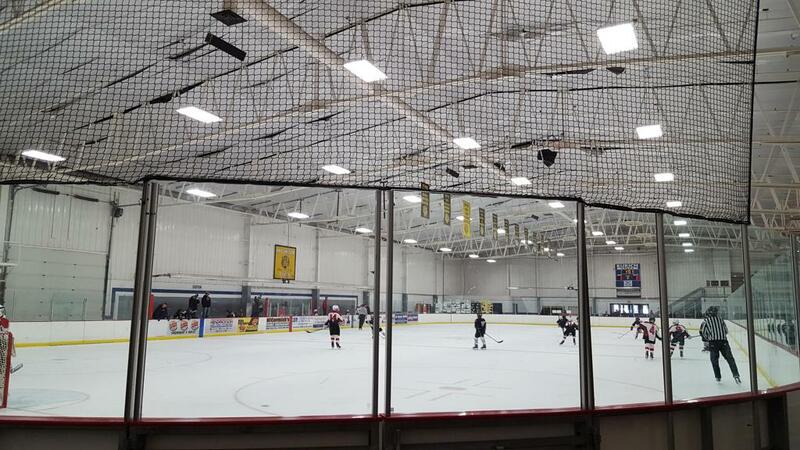 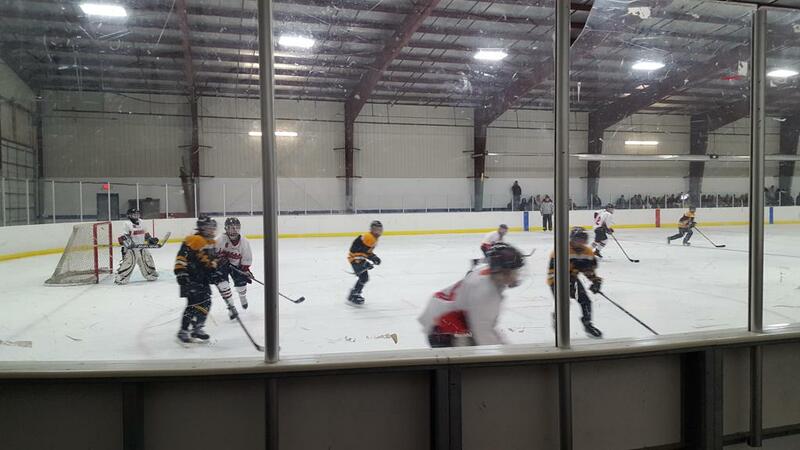 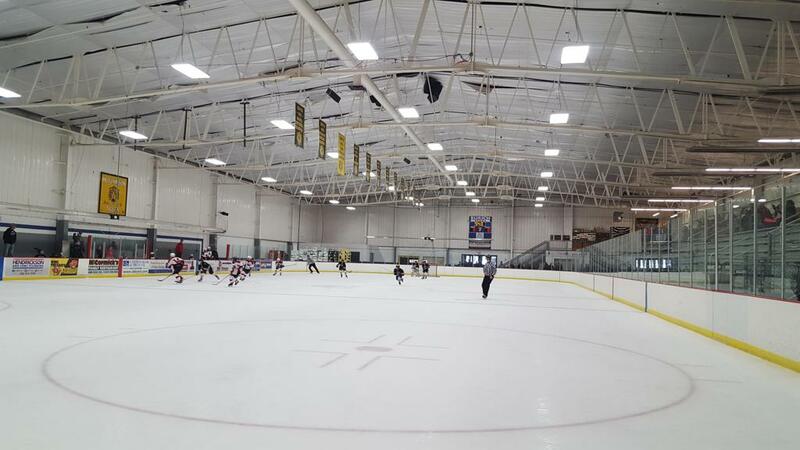 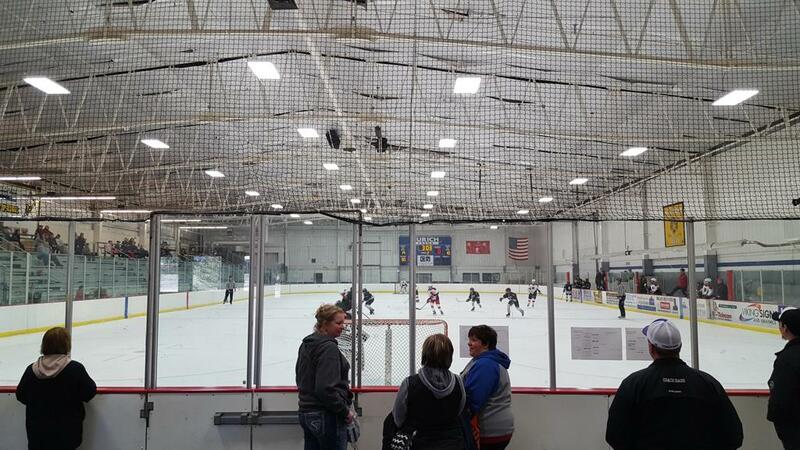 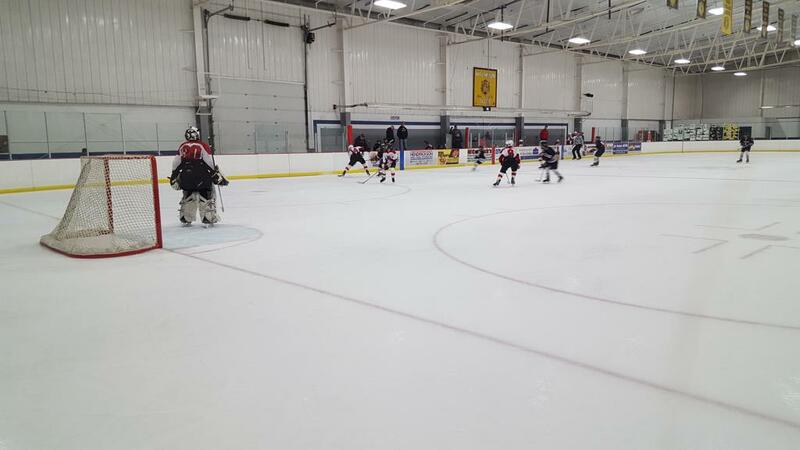 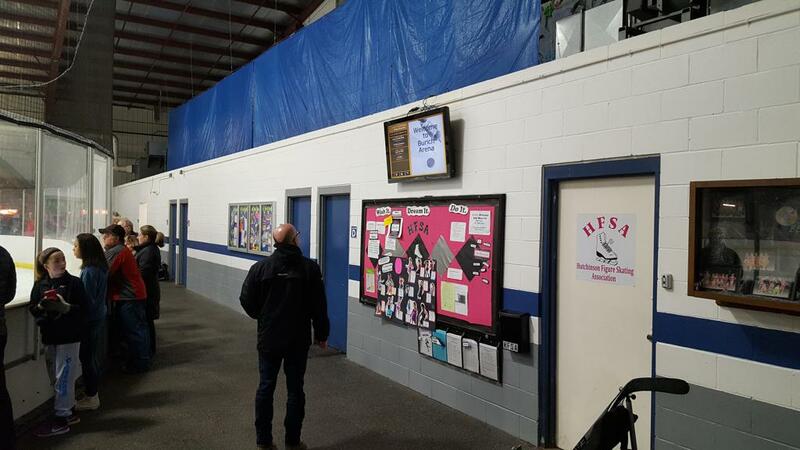 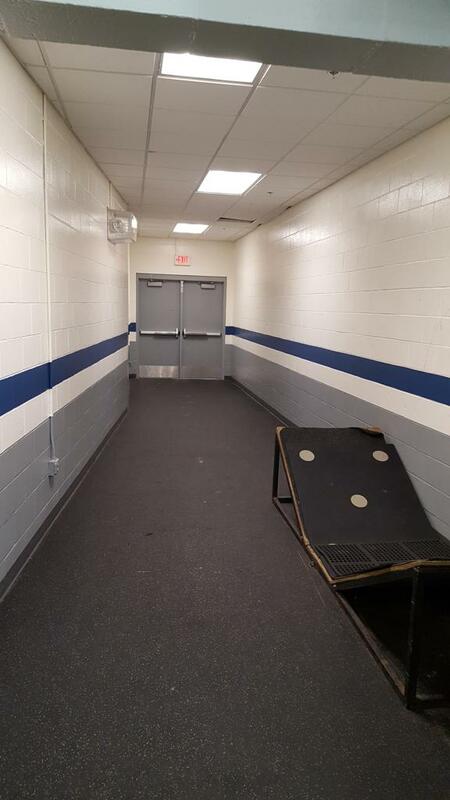 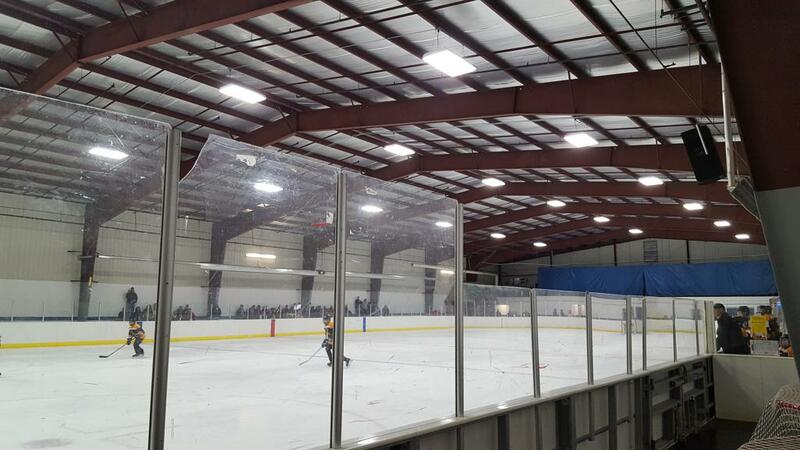 A new no-frills arena, with seating for 200 spectators on wooden bleachers, and a matching 200 x 85' rink is connected to the building via a walk-way between the two rinks. 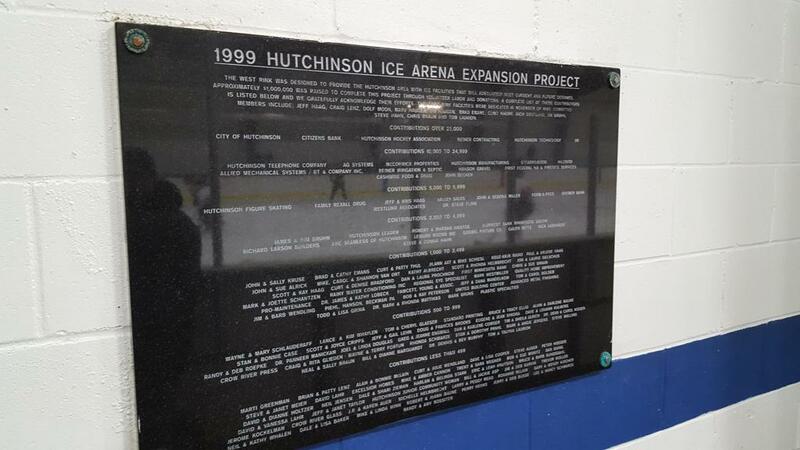 The original Hutchinson Civic Arena was also re-named Burich East.